Wendy Peralta is the owner and operator of Seabreeze Farm Inc. located in Geneva, Florida. Seabreeze is a well known and respected training facility for top-level equestrian competition located in Central Florida. Horses are a family affair at Seabreeze! Wendy and her husband, Ezequiel train and manage students and horses to compete at the nation’s finest shows. Wendy is also the of mother two professional children, Nikko and Trevor Ritter and her daughter Catalina Peralta is an active junior competitor. Wendy has had a great career showing hunters and jumpers throughout the years. Some personal hunter highs include a win at Washington in the first year green hunters and assorted Zone and National Championships. Wendy also has a passion for the jumper ring and was the Chef d’equipe for the Zone 4 Young Riders Teams, winning a Gold medal in the National Junior Jumper Team Competition in Harrisburg, and earned the designation of Gold Star Jumper Coach at the 2017 USHJA Zone Jumper Team Championships. She is an active jumper competitor and is a Grand Prix winner herself. Wendy has had a great career showing and selling horses, and also training students receiving the highest honors in their respective divisions. She has traveled to major horse shows nationally as well as Spruce Meadows and Lanaken. 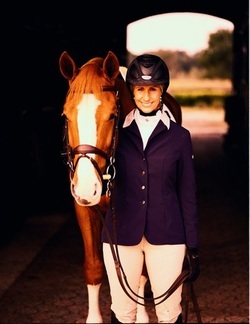 Wendy coached the winner of the USET Talent Search East in 2007 and was awarded the best trainer trophy for that year. She also co-trained the winner of the THIS Children’s Medal Finals in 2015. 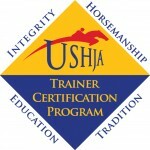 Wendy is a USHJA Certified Trainer and was TCP featured trainer of March 2015. Wendy serves on governing committees for the USEF and is the current president of the Central Florida Hunter and Jumper Association. She is an R judge and has officiated at such shows as the Winter Equestrian Festival, the Zone 3 Washington International Horse Show, and the Franktown Meadows Hunter Derby in Reno, NV.